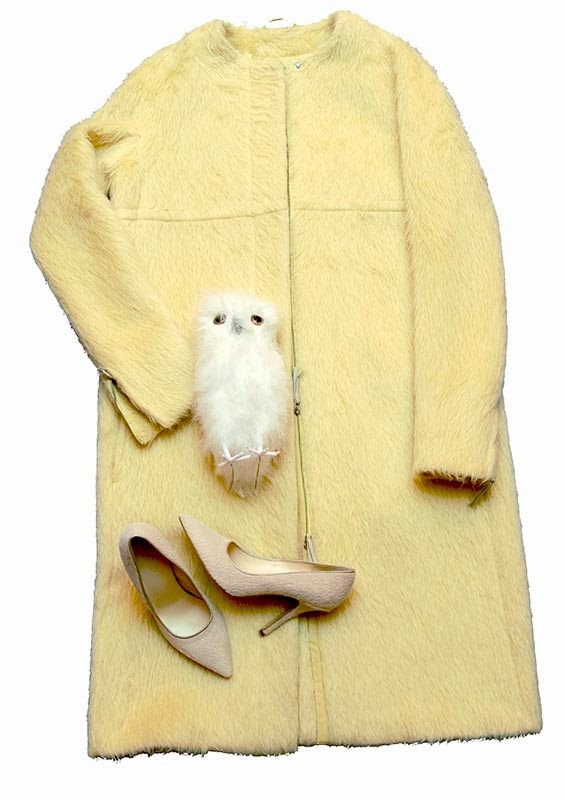 I have never bought a similar one, yes I am talking about the yellow coats especially in light yellow furry version before. Big bird? Haha! I remember having a light yellow piece from a runway and how extreme I was thinking. For now, look at what I did! I will give this incredible coat a stylish chance for my wardrobe and how I love its minimal design, the zipper details and not least it look like furry, but actually woolen of course. It brings so much perspective so I decided to jump in on the fun and unusual look! Similar piece cheer me up during the winter, do not you think? Let me show you and share with you! Ooh I love this - especially that snowy owl!! OMGGG that coat is AMAZING! such a gorgeous lemony yellow color!! Wow the coat looks awesome. Love a bit of Maxmara - the matching hues are so good together.